With the UK economy finally beginning to show signs of recovery, the future is once more looking bright for small businesses and entrepreneurs. In fact, with a bit more disposable cash in many people’s pockets, now is the perfect time to start a venture of your own. One of the fastest growing industries is the lucrative business of teeth whitening. Driven by bright, white celebrity smiles and increased availability, more and more people are opting to whiten their teeth and perfect their smile. If you are considering starting your own teeth whitening business, one of the best ways to do it is to become a franchisee for an established company like Smile Like the Stars or The Teeth Whitening School. That way you can take advantage of their great reputation as you grow your business and your very own teeth whitening success story. Unlike discount teeth whitening services that offer basic packages starting from around £89, or dentists that offer expensive services costing £399 upwards, both Smile Like the Stars and The Teeth Whitening School have opted for the lucrative middle ground offering packages costing between £129 and £249. The crucial thing about this price bracket is that it gives you a wide client base while still giving you the chance to earn a good income. By offering a good quality, but affordable service, you’ll attract the customers who don’t want to spend unnecessary money on a dentist. They will however want to ensure a great quality, safe and professional result. In general, these sorts of customers are the easiest to deal with, something that can prove invaluable when you’re busy trying to grow a successful business! 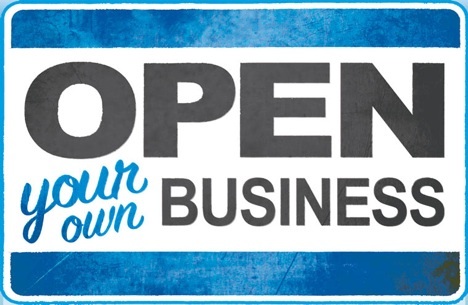 What do you need to open a franchise? All you really need to start a franchise is a great attitude and the right image to represent the franchise. Past experience can of course come in handy, but dedication, enthusiasm and the drive to succeed are often more important qualities. Both the Smile Like the Stars and The Teeth Whitening School offer franchise packages starting from around £995 or £2,995 for dental practices, making them a very affordable choice for anyone looking for a new career. After attending the training centre you’ll leave fully qualified and be rearing to get started in your new venture. Unlike other teeth whitening franchises, we offer franchisees a high level of support throughout the set up process. We will provide advice and information on sourcing equipment, marketing and training, and help you to get established, get customers and start earning money quickly. There are also opportunities for continued training and support as you grow and develop your business. Helping you to create a thriving business that will give you a great income, a satisfying career and the freedom of running your own business. et qualified so check out our course packages and take the first step to becoming a business owner.